Dubai Waterfront, an entirely new district in Dubai, Badrah aims to meet every need of the modern family and offer affordable housing options. 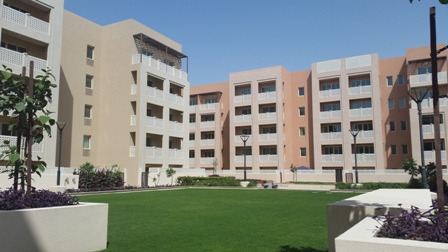 The architecture blends modern modular forms with traditional Arabic design and the overall development has been carefully designed to enhance the overall community feel of the development. Manara is 6 buildings residential area in Badrah Waterfront. This great development features educational and other civic amenities. It has retail shops and schools for your convenience and comfort. Badrah development provides an affordable luxury lifestyle through intelligent design and various options. It aims to meet every need of the modern family. The community offers a mix of different developments from houses to offices to schools, as well as retail and leisure elements. It also provides an open space for families to enjoy. The structure of the houses blends with modern design with a traditional Arabic touch.